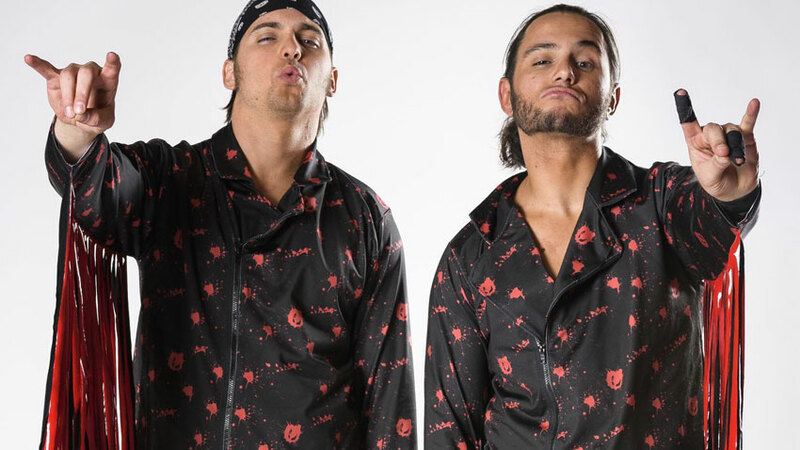 WWE sent a cease and desist letter to The Young Bucks (Nick and Matt Jackson) this week claiming the Bucks were using intellectual property owned by the company, in specific the “too sweet” hand gesture. The letter threatened damages in the range of $150,000 per item, any profits made off the items and legal fees. According to a report by The Wrestling Observer Newsletter, any merchandise with references to the term “too sweet” that the Bucks were selling through their own website (YoungBucksMerch.com) and ProWrestlingTees.com has now been in removed in response. It should be noted that Bullet Club shirts being sold at Hot Topic stores nationwide did not have any reference or drawings in question by WWE, which have sold an estimated 100,000 t-shirts the last three months according to Nick Jackson.